What is Land Academy 2.0? Jill DeWit: Hello, and welcome to episode, gosh, seven already. Thank you for joining me. I’m really happy to be here. This is all about getting started in real estate by flipping the easiest type of property, land. I’m going to pause for just a moment, and say today is kind of special because I have my Facebook Live going on right here, and then right next to me, we have YouTube live happening at the same time. So, please feel free to weigh in and comment on the quality and the audio. My team’s watching and I want to make sure that everyone can see me, and hear me, and follow along, so thank you. 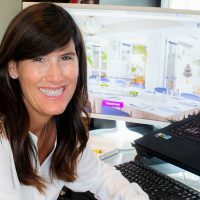 Jill DeWit: Today, I’m so excited to share with you what we just launched on Friday, and really talk more about Land Academy 2.0, and I’m going to answer all your questions. As I said, we just released it on Friday, it was Black Friday, and I’m talking about it today because of all the requests that we had to dive in a little bit more, and share what Land Academy 2.0 really is. 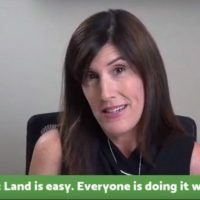 I am Jill DeWit, co-founder of Land Academy, and together with my partner, Steven Jack Butala, we have completed close to 16,000 real estate transactions of many property types, not just land. Jill DeWit: We all know that there’s money to be made in real estate, and most people are doing it wrong. That’s why I created this weekly live show. So, Wednesday at 2:00 pacific time, I’m here to help you to connect the dots, so you can get started flipping land, and then move on to bigger transactions and other types of real estate. 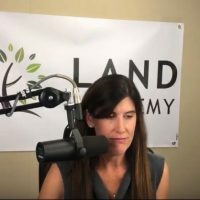 Again, today, I’m so thrilled to share some insight to our brand new program that was released last Friday, Land Academy 2.0. I’m going to give you a little insight to 1.0 also. But in case you’re wondering, I know we have a lot of our active members watching right now. I checked about two hours ago, and of the 11 videos that make up 2.0 that just, again, came out last Friday, and in five days, we have 874 downloads. I thought that was pretty good. Jill DeWit: So, obviously, everybody is watching it, and I know that my team has already got some feedback on it, and it’s going over wonderful. So, we’re going to talk about that, and then in about 15 minutes, I’m going to answer your questions. So, feel free to start pre-loading those into the comment section. So, for the Facebook folks, you’ll see the questions. For my YouTube folks, we’re rolling you into this week, so what I want you to do is please feel free, write your questions into the YouTube comments area, and then my team is going to copy those into Facebook, and then I can answer them all. So, I’m glad that you’re here. 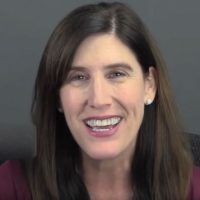 Jill DeWit: Let’s see, so first I’m going to give you some background on Land Academy 1.0, and how best to really get started here. So, Land Academy 1.0, we lovingly call it the cash flow from land program, was created in 2015 by the requests from our wholesale land buying customers. It took us over six years … it felt like six years … six months to write, and edit, and film the program. It is everything that you need to know to start from scratch, and create your own private land investment company. We share everything in there, including our mistakes. We mean it when we say no stone left unturned. Jill DeWit: The best way to get started … That’s a little bit about what it is. What’s the best way to get started? The best way to get started is to while you’re watching it, do it. As you’re watching, this is kind of how all our programs are. It’s very hands-on, not just theory and concept. It’s really us telling you, and sharing our secrets, our mistakes, how we got here, what we did right, what we did wrong, and how to get you there quick. What you want to do is as Steven is sharing how to pick a county, and all that goes into his thought process, you should be following along his strategy, and choosing whatever county makes sense to you. Jill DeWit: Our most successful members are doing land deals in counties and areas that we haven’t even touched. So, we really teach you that. When the time comes to field a call from a seller, you already know what to do because you already listened to live calls of me talking to sellers, and to the county, and even watched us through video of how to create a deed and how to get a property recorded. So, again, that’s just a little background on Land Academy 1.0, which has everything in there. So you can create your own online land wholesale business flipping property from all over the country. Remember too, you don’t have to be there. You don’t have to have to see it, you don’t have to stand on it. I’m going to show you how to do all that. Jill DeWit: Now, for many of our members, that’s enough. Land Academy 1.0 is great, they learn from us, they naturally moved on to bigger deals. It’s funny because we know that they’re pulling data, we know that they’re sending mail, and we can see them posting on our land selling site, Land Pin, and they’re happy. Some people, they just simply joined with us to learn how to purchase their next primary residence, or their cabin property, or their retirement piece of land that they want to build on. That’s what’s been happening. Jill DeWit: So, everything’s going great, everybody’s happy, why did we create Land Academy 2.0, and what is it? Well, we have found that we have successfully created a group of very smart, motivated investors ready and looking for insight to the next level, and that’s where 2.0 steps in. 2.0 is infill lots, and larger dollar or acreage deals. So, this second program, Land Academy 2.0, is a step by step guide to sourcing, pricing, completing escrow, and creating a buyer’s list for these property types. Here’s a couple of things that it includes. Yeah, it’s so great. Steven has created a tutorial, and it’s amazing. 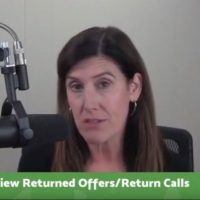 Jill DeWit: He shows you how to red, yellow, and green light real estate deals and zip codes to be able to predict sales prices, days on market, and profit margin with a predictable and consistent outcome. The data really tells you what to do, you only need to know where to get it and how you use it. And that’s 2.0. It also includes detail of the due diligence needed. These are a little bit different property types, so there might be more things involved. So, that’s all covered, where to get it, and what to do when flipping larger acreage on these infill lots. Jill DeWit: Also included is understanding how builders value land, so you know you what you can sell them for. A lot of our buyers for infill lots are builders. And you need to know how to not only source it, buy it, find it, but how to strategically price it so these builders want them from you, and buy them from you. And when done correctly, or just follow us basically, you will have quickly created customers for life with these builders, and the next thing you know, they’re putting in orders for, “I want everything in a zip code, how many can you get me?” So, that’s the beauty of it all. 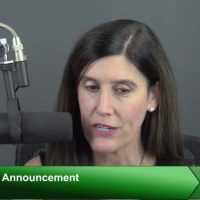 Jill DeWit: One of the best things, I think, about 2.0 is it includes over three years, more than that, of member feedback, and we share the highlights, and some of the areas that they struggled. All of this is in the name of getting the next generation ramped up even faster. So, that’s what 1.0, 2.0 is, kind of an overview. I want to go ahead and open it up to any questions you have. Feel free to ask even other things that aren’t 2.0 related, I’m happy to answer those as well. So, I’m going to jump over here, and follow along, bear with me. All right. Let’s see. Hello. Hi, it says Jordan … oops, that was from before. Message you for answer the question, thank you. Let me jump again. Jill DeWit: Let’s see, here we go. You know, it’s great, what you’re saying is so nice. I had some questions before the show, and I love that. So bring them. Just so you know, as we’re getting ready to do this show, we are going to watch and pay attention to your questions, so maybe you’re at work and maybe you’re hiding under your desk. You’re not supposed to be doing this on your work time right now. Load in your questions even when you have a moment, and I’ll look them up, and I’ll read them live for you, and then if you can’t watch it live, you’ll get them later. Jill DeWit: Trenna, that’s an excellent question, and the answer is no. I’m not avoiding any states. There are states that … Well, except for states like New York that might need an attorney involved for some of the transactions. It doesn’t mean that I don’t do them, but it’s certain deals that I don’t do. Other states, primarily out west, we’re just kind of drawn to them, and they’re very easy to work with, and that’s why we do a lot of our deals out here. I still do Florida, and I’ll do upper northwest. It’s kind of wherever … You know what we do? Wherever Steven decides to send the mail, that’s really it. But we do tend to gravitate towards the areas that we know very well. I don’t have any areas that I would say not to do this, and I certainly don’t have any areas that this does not work. Jill DeWit: That’s one of the things that constantly comes up is a secret county list, and I’m here to tell you there is none. So, it works everywhere just depending on how much money you want to spend, and that’s really it. So, as far as tax delinquent lists, that is something that we don’t seek out. I don’t discriminate against those, but I don’t go seeking out only those tax delinquent properties. Here’s why. More often than not, every time that we … We tested this in the past by the way, and we’ve had plenty of other members test this too. When you focus on tax delinquent properties, you find you’re mostly focusing on the problem properties. There’s often a problem, and that’s why they’re tax delinquent. Jill DeWit: It’s like finding a boarded up house as you’re … We joke about driving for dollars, and say you see a property that’s boarded up, and it’s in a beautiful area, and you think, I’m the only one. Oh my gosh, this is great. I just found this deal. I know it’s more than it’s worth. You know what, there’s probably a reason why it’s been sitting boarded up for four years. I hate to say it, you’re not the only one. There’s a problem. So, a lot of these tax delinquent things, especially years and years and years, there’s usually a problem. Somebody may have passed on, there’s a problem with the title. Maybe the taxes are so darn high that now it offsets the cost of the property. That’s why it’s sitting there and nobody wants it. Jill DeWit: So what we do is we reach out to them all. So, I’m not seeking them only, but I don’t weed them out also. So, when it comes up, and I’m doing my due diligence then I find out if they’re current on their taxes, or they’re behind. If they’re behind on their taxes, I still do all my due diligence and make sure I still want it, then depending how far behind the taxes are or how much they owe, I factor that into my offer price, and that’s how we do it. So, it’s an excellent question. Let’s see here. Hello, Jake. “If you partner on an infill lot with a Land Academy member, how do you split the profits? What are the criteria percentages, and what responsibilities does each party take on?” That’s a great question. Jill DeWit: Jake, you’re not going to like this, but it’s really personal preference. So, for infill lots, if someone puts up the money, and you’re doing all the work, that’s … For me, it would be kind of easy. If I sent out the mail, and I sourced the deal, I took the phone calls, I have the deal all lined up. It’s ready to go, but I don’t have the money, so I’ve all done that work, I would traditionally, have no problem bringing in a money guy, and then whatever the profit is, say we make $30,000, we split it 50/50 kind of thing. But again, it’s all personal preference. I love trying this with … First, get to know someone, of course, reach out. I love that you’re doing it with another Land Academy member, that way you each know what you know. Jill DeWit: They know how you found the property, and what went into it, and you know what kind of person that is, and how they operate, or they wouldn’t be in our community. But do a couple of deals with them first. You don’t have to run out and get an LLC going. When you buy the property, you could put both of your names on the deal too, by the way, so there you each have 50% equity. Then as it gets going, if you guys want to take it to the next level, create a separate LLC that you do deals in, however you want to do it, go for it. Great question. Jill DeWit: I love this. Jake, you’re loading up my questions, and I think that’s so good. Infill lots. You viewed on satellite … Oh, in the program, okay. This is going to be good here. You viewed on satellite a parcel that was probably used by a home for a bigger back yard. It’s a vacant, lot backs up to the home, got it. The house is on an adjacent street. If you mail to the site of the infill lot, will the home owner receive your mail? Well, yes. Or should you mail to actual home address? Well, I want to make sure I’m reaching the owner, so the only thing that I do, Jake, and what Steven does is mail to the owner on record. I’m not mailing to the site, I don’t want to get a renter. What if I’m doing … If you’re saying infill lots, and they may or may not live in the house next door and you’re trying to buy the infill lot next to them, again, I would just mail to whatever the … on file, I know you have access to it because you’re in our group here. Whatever the county tax records go, just use that address just in case there’s a renter in there, so they don’t get it like I said. Excellent question. Cool. Jill DeWit: I like this one. “Taxsale.com is no longer free, is it still recommended to use?” We went around that, and circumvented that ourselves, so what you want to use, Jake, because this … when we started 1.0, that was the way to go, a lot of great free information, and then over some time, the company got sold, and Steven was good friends with the owner, and we didn’t have the same relationship with the new company, and they don’t work with us as well. So here’s what we did. Steven created County Wise. So, all of the information, and all the due diligence that you’re trying to do picking a county, this is … Let me back up here. What Jake is asking about is when I’m picking a county, and testing an area for reason before I send out offers to make sure it’s a good area that I can expect to get a good response from sellers, we look at a lot of different things like census maps, population density maps, and we look back tax numbers, not any particular if they were on a list or not, but we look at, okay, what percentage of properties in this county are in the back tax situation? That’s a gauge that we check. Jill DeWit: So, one of the places we used to go for this was a free website that Jake mentioned, which is no longer free. So Steven took … I don’t know how many weeks this took, but he had a team putting together all the data, and made it free to everyone. It’s not just members. If you need this information, it’s free to you also. It’s countywise.com. So check that out. W-I-S-E. And that’s where you can get all that. This is good. Jill DeWit: Jake, you’re awesome. So, this is a good thing. What’s happening right now is Jake is a newer member, and you’re so helping me out here Jake because I think you’re asking a lot of really good questions that is letting everyone who’s not a member, who is watching this, and trying to figure this out know what we talk about, what you’re learning, and how we get into it here. How we really use the data, and make educated decisions on all the things that we look at when picking a county, and buying properties, so I love these questions. Jill DeWit: So, I’ve got both ways. I don’t think it makes a difference at all. Just make sure you do establish it. What Jake’s asking is, okay, I’m starting on this business, so do I just want to be ABC Land? No, you know what you want to be, and even we are now, I’m Jill DeWit of my land buying company, and my land selling company I should say is LandStay. Our buying company has different names, but one of the ones we use is BuWit, you’ve probably seen buwit.com. So, people get our letters in the mail, and they can look up BuWit, they can see Jill, and gosh, if right now in some of our transactions, I happen to be helping out as the interim transaction coordinator for houses. When I hang up the phone as Jill DeWit, they can google me, and say, she’s legit, and it’s great, so great, great question. Jill DeWit: Thank you Jake. I’m so glad. I would love to know how long it took you Jake. If you want to add that in there, I want to know, was it a … Because we launched … I’d love to know, Jake, when you started, and when you ended, and how many hours you spent there. So, Jake said, “I devoured 2.0, and every video is done.” I’m so happy because that means … That’s so good. We launched that, I want to say it was midnight pacific time on good Friday. So, I was hoping to stay up, and peek, and see who logged in. I didn’t do that, obviously, I fell asleep, but after our big Thursday, of course, Thanksgiving. But I’m happy to see that you got through that, and I’m curious how many people, at 12:05 were watching it. That’s so cool. Jill DeWit: Hi Ben. Ben asked, “You mentioned we can use the blind offer for single family residents. Do you offer 25% market value on those as well?” Excellent question, and no, we do not. A couple of things, you can see a sample of our SFR, our house mailer template that we currently use if you go to offers2owners.com, offers and the number two, owners. That’s our mailer company, and you go to forms, there’s a sample of the data that we have, so you can see if someone who’s new, and you want to see, what are we get a hold on for land data, and our land offers. You want to see house data, and house offers, go right there. You can also … You know what, I’m going to show you too, because I want everybody to see this here real quick. Jill DeWit: So, let me … Follow me here. That’s not what I want. All right, Offers 2 Owners, here we go. All right, so we go to … Here we go, download forms. These numbers are amazing. I love this. These are real by the way, these numbers that roll up. It’s taking a long time. So, last month, 138,000 offers mailed, and 231,000 records pulled. Amazing. If you scroll down here, there’s a … Let’s see here, housing data example, and commercial, and we have full service if you want help getting the data. Then here’s mailer examples too. So, data examples on the right, mailer examples on the left, and there are house and land if you can see, so I wanted to show you that. Jill DeWit: There we go. Don’t know why I switched back here. I hope our YouTube folks are following along great, and everything is going well for you. Okay, so back to … Thank you Ben. Sorry about that. Back to your question. So that’s where the templates are, and no we don’t offer 25%. So, we’re going to have House Academy rolling out here, tentatively. I don’t want to make it official, so I’ll tell you. It actually is being written right now, Steven is literally, like this week, working on an ebook, and he’s going to go into more detail, but we don’t price that low, I’ll just say that. We come in higher because we’re dealing with properties, especially where I’m sitting right now in Southern California. We might be doing deals that are, maybe we’ll buy them for $700,000 or $800,000 because they’re worth 1.1. Jill DeWit: I’m happy to mark it up $100,000, and get out fast. So, you can see it’s a very different structure and percentage, and that’s what Steven’s working on right now. But tentatively going to sign off on end of January is when we’re looking at for House Academy coming out, and it will be a whole different program, and it’s going to have different tools. Included in that will be data tree, so if anyone doesn’t know, we’re a licensed provider of all three of the top data sources, and data tree is stellar for all property types, and we use it mostly for houses. So, that will be available to you then, so excellent question, Ben. Jill DeWit: All right. Sierren. I’m hoping I got that right. “Hi Jill, I live in Ireland. Is it possible and feasible to run a business from abroad?” The answer is yes. We have several members in Europe, especially Asia. I have some … Can’t remember if I have a Middle East, I can’t remember it right now, but definitely Asia and Europe. I can think of an attorney right now in Brussels off the top of my head. It’s fun because every now and then, they’ll … We have a few in particular that will stay up on a weird time change to be on our weekly member calls, so they can take part in that, and do it live with us. You can absolutely do it, so just the same as I’m buying property right now. I’m sitting in California, and I’m buying property in Texas let’s say. Jill DeWit: I’m not standing in it, I’m not doing anything with it, but I can hire someone on the phone, if I want you to go take pictures of it for me. I can get video shots if I want for me. My website, of course, I can do from here. I can create a mail address so it appears that I’m in the United States, and we cover that too, we can help you with that. I can set up a phone so it appears like I’m in the United States, and have a service, even better yet, what we would do is have something like, we use PATLive, and have PATLive answering your phones here. They message you, so you’re only communicating with the people on the phone that you need to. They weed out the don’t call me people, and the good ones that say, “Yeah, I want to sell.” And you’re only talking to them, so you can easily do that abroad, so excellent question. Jill DeWit: There’s a lot of that too. If you go into our online community, landinvestors.com, and you could type in international … just something, and you’ll find people in our group there, and you can start talking to them now about some of what they did to get it set up and speed it for you. Jill DeWit: That’s one way to handle it, so you still might get some juice out of it. The other way is, hey, follow up on the letter right away saying I goofed. Our letter, take that page one, that cover page introducing yourself, and follow up with a, “Yeah, this may look familiar, I sent a letter to you two weeks ago, and I realize I goofed. Now, I realize your property is worth more, and I would like you to consider, and page two here is my new offer price.” That might even yield a lot of people that like you. That could be a new strategy. I haven’t tried it like that, but you might some people go, “All right, this guy is kind of cool. Now, he’s sent me back a better price, and yeah, now I want to talk to him.” So, great question. Jill DeWit: Gregory asks, “What is the actual census data information Steven used to determine the counties with lower population density” … This is a great one, “When I’m testing a county, how much mail should I send?” Great. We recommend no fewer than 1,500 units to test a county otherwise you’re not going to get a good enough mix. So what you want to do is when you pull the data, pull about, I don’t know, 1,800 to 2,000 records, so ownership records for the property. Say you’re seeking out all the five acre properties in Tarrant County, Texas. Pull 1,800 to 2,000 lines of data, so then when you scrub it down, you take out the duplicates, and the oops, Tarrant County, you’re not going to send them an offer in the post office down there. Who knows how that got in. When you scrub those out, now you’re looking at 1,500 units, and that’s what you want to mail. Jill DeWit: That’s going to yield you, usually on our land, our transactions, anywhere from three to five properties initially. Then sit back. Once you start this process, it’s going to keep on going. You will find three years from now … Heck, I’ve got 10 years experience now, I have more than 10 all in all between the two of us, but we still have calls coming in from people that are staring at offers from 2007, and now they want to sell. They got the offer, they weren’t ready at that time, so they put it in their file, and they stuck it away. Now, they’re ready to sell, or maybe it’s even the kids, something happened, mom and dad passed on, they opened up the file, and, “Here’s our letter, let’s see if these guys are still around.” Even though three to five is now, it will keep happening down the road. Jill DeWit: All right. So, I have one here that was added in … Great. What are you doing here? I wonder how you exactly process your mailers? I can’t tell, I’m seeing MG, Miss MG Corner wrote in, so I’m trying to guess here. So how do you process your mailers? Okay great question, Offers 2 Owners. That was, let me show you real quick here again who that is. It’s from YouTube. Is that a YouTube question? Awesome. That’s where that came from. All right, so let me show you real quick here. Okay so we should be seeing Offers 2 Owners. Maybe we’re not. Let me fix that. Sorry, gotta hide the question. Can you hide it? Thank you. Bear with me. Jill DeWit: All right, so now we’re looking at Offers 2 Owners. So, the question is, how do I do my mail? This is it. So let me give you a little backstory. We, like many of us, were struggling to find the best, cheapest, fastest mail out there, and we couldn’t find it. We did our best for a while, and so basically we made our own company. So this is our company. Offers 2 Owners is our mail company. And there’s different pricing for members and nonmembers. You can go on here, check out the pricing. There’s all kinds of samples on here. The beautiful thing about Offers 2 Owners is A, it’s cheap. B, it’s exactly what we do, it’s our company. C, it’s fast. D, there’s no setup fees by the way. I’m running out of fingers. We do the mail parts for you. That’s the huge one. Jill DeWit: One of the reasons we created this company too is because, we couldn’t find anyone that would help us out and do a mail merge. Because some people were getting hung up on, great I got my data, and I have my … Switch back here. Great I got my data, and I also have my template letter, but this mail merge thing has got me confused. What was it? Forget it. Don’t worry about it. We’ll do it. Our company will do it. There’s no cost for that too. So we do the mail merge for you. And the other great, wonderful, amazing example, or reason why we have this company is, and I’ll tell you, it’s Omar, the guy that runs it works for us full time. And he’s here in our offices and his names Omar and the service, and quality of the product, and the speed, and what he puts out for you, is phenomenal. And I know that from our customers, and I know people that … It’s the best. Anyway, that’s how we process our mailers. Jill DeWit: Now, do we send blind offers? We absolutely do. That’s exactly what we’re doing. What we do though is we send … It’s not just a random hey, I’m just throwing out an offer, it’s a very good, well thought out, strategic offer down to the penny. So I would highly recommend looking at our template on Offers 2 Owners and seeing it, and you’ll see what goes into them, and it’s amazing. We’ve learned this over the years, it’s not … We’re not guessing here. We’ve tried all of the ways, and now we have hundreds of members that are successfully doing it too, the exact same way we did, with all the different steps, and all that same format. Jill DeWit: Let’s see here. Or do you send out a buy contract with an open number, or do you pick a price up front? So yeah. So we do … It’s a two page template. If you go on Offers 2 Owners, and you’ll see the front page, what gets sent out to a property owner. The first page is kind of an introductory letter. Who we are, how we got your information, that kind of thing. The second page is a one page purchase agreement detailing the property. It’s very personal. It’s not just to customer, Mr. Jones. It says Mr. Bob Jones, and it’s your property on 123 Main Street, or it’s your property, APN such and such, and it’s 2.46 acres in this county. So the guy who gets the letter knows right away, well, they do have my right property. And then it’s an offer in there for the exact … Or I want to buy it for $4,992.85. And it’s signed by us, there’s a place at the bottom for him to sign it, and add in any notes. And basically send it back. And that starts the process, and that’s how we buy it. So excellent question. Jill DeWit: Okay, so Jake’s sharing with everybody that the chapters in 2.0 are relatively short and to the point, and he binged watched. So good. That’s awesome. Well thank you Jake. I think Ben is asking, because we include SFR from the land use section. This is true. Jake, gosh you’re smart here Jake. Jake’s got this. Jake’s answering questions. So we included SFR from the landing section, but since you use 0% improvement … That’s true. It will still include any property classified as SFR, but no improvements. Maybe this is technically an infill lot. Yep, bingo. So we’re picking the land use that will include SFR, but if it’s not … That’s one of the things about the data that we have, and why we need really good quality data. I can’t just go to the county and say send me a list. I need to get in there and really get detailed. And one of the things I do, is we pick particular land uses, and we also put in there an improved percentage of zero. Jill DeWit: So if a property’s improved on … It’s got a structure, they sort of had something like that, now it’s improved on, it’s going to have a percentage of improvement. So now I know I’m not dealing with a rural vacant land. But when I can go in there, and I can put improved percentage of zero, now I know it’s land. So that’s what he’s talking about here. Jill DeWit: Skylar asks … I was going to say, I’m going to keep going. I can already tell it’s over 30 minutes, but you guys know that. So I’m going to keep going, all you guys have some great questions. So Skylar asks, “When mailing out to a county with a higher price point, do I still stick with 25%, the buying rate still?” Not necessarily. You’re right, it’s going to vary. So, say I’m doing an infill lot … I’m kind of thinking of an example here. Jill DeWit: Some properties, when you get to the higher dollar amounts, you’re going to offer a higher price point, because you’re still going for that sweet spot. Like, we don’t touch properties traditionally if I’m not going to make … I don’t know, from land, 25 or $50,000 on it. Less than that, it’s not worth my while. So when I go into a land that’s worth … Let’s just say, when I offer $50,000 on a property that’s worth $100,000, because I only want to mark it up to $75,000, I might do that. So that’s the reason I’m not going to come in and offer that. I could start there, but it depends on the property, when you get to these higher ones. This is really why … This is a great question by the way. Why you do the little things different, but use larger acreages and infill lots. And that’s one of the reasons we did 2.0. And Steven really goes into great detail about, how to get strategic on the pricing. So good question. Jill DeWit: Okay, I’m going to open this question. I’m going to read it and then I’ll close it up so you can see my answer. Jake said, “On a mail merge” … Is he answering the question for me I think? Jake, you’re awesome. “On a mail merge, can you set up a custom field, where you can target your price per acre, so you can pull results from four to six acres from RealQuest?” Let me think about this. Can I setup a custom field, where I can target the price per acre? You really can’t. You really can’t. Okay, I just got a message from Steven, I will cover that. So you can’t really … You’re just looking at price per acre. But what you can do Jake, is I can play with, when I’m pulling sizes from RealQuest, I can play with the assessed value. So that’s going to get me closer to where I want to be, if that’s what you’re trying to do. Jill DeWit: So if I’m pulling in … I’m getting kind of a little advanced questions here, so I’m going to share this with everyone. If I’m submitting offers to property owners, and I accidentally mailed people on properties that are worth $500,000, because I know I’m not going to send mail out at that level, I know really what my price point is, I might put a cap on the assessed value, just so some beautiful cliff side, ocean front infill lot, doesn’t accidentally fall into my criteria, because I’m not going to mail it anyway. Even when I pull that data, I might sort it out, based on the assessed value, and the weed it out later. I might have a use for it, but, easiest way is, when you’re pulling the data, pick a cap on your assessed value. Maybe you only want to offer things around $5,000, so you’re going to pick anything above 70, $80,000 assessed. Weed those out right away and then you have a smaller group from there. So that’s the beginning of his question. Jill DeWit: Jake also says … I’m just going to read it here. “I want the offer price based on per acre times the number of acre’s.” Yes. “The exact price offer populated into each letter.” Yes. We took four counties to come up with 1,018 results, using four to six acres, it’s very sparse.” This is interesting. So the area he was pulling didn’t have a lot, or the other thing is too Jake, make sure you’re playing with you’re land use codes, and your zoning. Because sometimes that will make a difference and it always will vary by county. So if you’re not getting a big result play with that. That’s one of the things I always say too. When get this data, you’re going to want to spend a weekend getting to know it. And that’s only going to make you better. Jill DeWit: This is related to an earlier question where RealQuest indicated only 125 five acre properties in a particular county. Yes. Steven directed me to support because he thought I might be missing something. Turns out, it isn’t very rural. Okay, not a lot of land where it was in that county. And the county has over 9,000 records of the same search. All right, so that was, happened to be … I don’t want to say the county here, well actually we can all read it. But that’s the county. So I hope that answers your question. So again, when you’re pulling the data, you can use assessed value to cut down on your list. Make sure you’re not sending to the wrong people. Then when you’re scrubbing your list, you’re going to make a formula to quickly price them all in one drag down. And I know that’s … For anyone that’s new didn’t know that, that’s the level of detail, what’s in Land Academy 1.0. You will find Steven talking about kind of how to do that in Excel. Jill DeWit: Great, I have a YouTube question, thank you. MS corner. MG’s corner, thank you. Now I get it. “Hey, I’m from Germany. Are there any states which are more preferable to start an LLC in?” You know what? Yes. Right off the top of my head. I don’t know about citizenship making a difference. I’m not a professional there. But I’ll tell you from our personal experience, Arizona, you could do it online, and I think Steven has a time to like … He could create an LLC in like 45 minutes start to finish. Got to have a tax number, here we call it an EIN. And be done and out like a rodeo guy. California, not so much. There’s a lot more that goes into it. And in some states you have to have an attorney involved, so they take a little more time. Some states require you have a physical address there. I want to say … Don’t quote me, but I want to say Nevada, we talked about that at one time. But I know, like I said, Arizona for us is the easiest. And we happen to have a physical address and stuff there, but we still have done it from sitting here in California, created them. So I’m sure you can search and find a lot of good stuff on that. Excellent question. Jill DeWit: And by the way too, don’t let that stop you from starting in this business. I would highly recommend not doing that initially. Your first couple of deals … Because I don’t want that to slow you down. Your first couple of deals, you can buy them and put them in your name, and then sell them from your name kind of thing. Test it a little bit. See if you like it. See if you’re getting it. Then after you’ve got, we usually say 10 deals, you know you like it, got the hang of it, you understand how this all works. And then by the way, you got more money to play with too. Jill DeWit: Then you start saying all right, now I’m going to make this a business. Then you start thinking about LLC, and some of the other things that you need. But what I would do, right off the bat, is set up a presence that’s going to stay the same. So remember I talked about these letters that we send out, and we’re getting calls and feedback, stuff from 10 years ago. It is because we’ve had that address that long, and we’ve kept that phone number that long. We made sure that we paid for that phone number, so we can port it wherever we need to. Right now I’m working out of an office in California. That phone number is ported here, and I have it wherever I need to go. So that you want to keep, so awesome. Jill DeWit: Gregory’s not familiar with County Wise. All right, check it out. There’s a lot in there. So when you log in. I can show … Well yeah, I could, but it’s going long. Check out County Wise, and if you want … You know what? Give me some feedback. I’m not going to go into it, because we went over right now. I’m not going to go into great detail on County Wise this time. But, if you want me to dive a little deeper in County Wise on another weekly live show like this, I’m happy to. So please leave the feedback. Jill DeWit: Thank you. This is my Steven I think. Census maps and census track data is available on County Wise. Added in that, thank you. And Steven’s answering this here too, we use census maps for what Gregory is asking about. The dark green counties … Thank you Steven for sharing this little tip. When you’re looking in County Wise, one of the things that we do, is look for this. The dark green counties in all the states are the best places to start. So that’s a little tip from Steven. You can look it up on County Wise and see what that means. Jill DeWit: Is that the actually website you’re talking about or a section of County Wise? When you go in and pick all the states … I guess you guys are having a whole little conversation here, so I think everyone can see all these comments here. Sure I got the interactive maps. Jill DeWit: Hey Shay, nice to see you. Glad you are here. Jill DeWit: All right, Skylar asks, “Do I still stick to 25% buying rate when assigning a contract?” I’m not a fan of that. You know Skylar, me, especially when I’m coming in at 25% of a property, I don’t want to sit around with it, I’m not trying to assign a contract. I’m trying to buy these properties. I want to take possession of them so I control the asset, and then I sell it. I’m not assigning contracts especially when you’re starting with your own vacant land. It’s too easy to buy a property for $1,000 and sell it for three, four, or something like that. That’s too easy to do. So I don’t want to assign a contract on that. And like I said, gosh what if I did something wrong and I only … Who knows? I sold it for two and I only doubled my money. I mean that’s what I’m trying to do anyway. I want to buy for one and sell it for two when it’s worth three or four, kind of thing. What if I only sold it for $1,800? I goofed on the taxes, I forgot to check something. I don’t know. That’s okay, that’s fine. Jill DeWit: Also what if I’m slow posting it? I don’t know. It’s so much better just to buy it outright, control it. I’ll tell you right now too, as a matter of fact this is not only our philosophy with land, also with houses. We do the same thing. And infill lots. We buy them, we pay cash for them, we control the asset, then I send it to my buyers. Then I don’t have to worry about it. Thank you very much Steven for sharing with us the best LLC states. He put them right in here for everyone. Delaware, Nevada, Arizona. He said not the cheapest, but the most friendly for what we’re you’re trying to accomplish. We use Arizona. There you go. Jill DeWit: Sierran asks, “How much money do we need to be getting mail in the campaign, including purchases?” Excellent question. All right, so if you saw it’s in the 50, 55, 58, 59 cent range to get a mailer out. And I want you to do 1,500 units to test a county. Let me back up this way. I would highly recommend coming in with a budget of five to $10,000 to start this. And that won’t cover everything. That will include getting educated, getting a program. Getting access to the data, having a couple months of that paid for while you’re learning and watching the program and learning the data and understanding all right that. That will include getting a mailer out. That’ll include money to buy your properties. Even if you’re buying a couple of … Maybe you’re starting small and you’re buying five $500 properties. That’s fine. Double your money. Now you have $1,000. Double your money. Now I have $2,000. Then $4,000. You see how that goes. Jill DeWit: So I want you to come in and be comfortable. And I know that there’s things too, if you want to get even more detailed with that, that would probably be a good thing. You know what, I’m going to ask my team to make a note of this. This would probably be a good topic for us to cover in another one of these live shows. And I can even get deeper for you and go into detail about mailer, data, and more about that. But that gives you an idea. Jill DeWit: That, I would feel much better with. And then when they come in with the money you guys do an agreement. I’m not going to get technical here, but you guys write something up so we’re all on the same page, and spell it all out, and put both your names on there. Or here’s another idea. If the money person’s not real comfortable, put them on it because they’re paying for the property, but have an agreement that when it closes you both get paid out of escrow, split the profits however you want to, and I think that would be a much better way to get started. Jill DeWit: Thank you Jake. Just looking to leverage. I understand. I like the safe way. I used to joke about that. And it’s true, I sleep very well at night because there’s a lot of property that we own and some is not even posted. Sometimes we don’t get it posted in a timely manner. I’m buying what’s working it’s way through the system. Anyway, I sleep really well at night knowing that I own this property and it’s paid for. I don’t care if it takes a week to sell. I don’t care if it takes a month sell. No one’s knocking on my door because there’s a mortgage or anything associated with that. And it’s great. So I want you to go the safe route. So thank you very much. Jill DeWit: Okay, I got one more. I’m going to cover this last one. This was our longest one yet. I guess taking that week off maybe we saved up our questions or word’s getting out. Either way I’m really happy you all are here and I’m happy to answer these questions. Ben asks, let’s see here, “If market value is $12,000 per acre for a 10 acre parcel, would you still offer 25% of market or is that high enough to offer a higher percentage of the market?” I might go lower. Honestly, that’s a very good question Ben. On larger acreage with higher dollar amounts, it’s easier than … Instead of saying “Hey, I’m going to offer you $6,000 an acre or $4,000, let’s just say I’m going to offer you $3,000.” How about this, instead of saying I’m going to offer you $3,000 an acre, I’m going to come at it like I’m going to offer you $32,000 or $30,000. It’s better to say it like that. Some of these bigger acreages. And you can do that. Jill DeWit: And all they hear is … They don’t hear per acre when you’re talking to the sellers. They hear hey, this guy wants my 10 acre property and he’s prepared to offer me $30,000 cash. It sure would be nice on Tuesday to have a check for $30,000 and have this out of my life, kind of thing. So awesome. Jill DeWit: Yes. Okay. So a couple things real quick and then I’m going to wrap it up here. Jake says “Membership call tomorrow?” Oh, heck yeah. I’m going to tell you, if you guys are okay I have two special things to share too by the way. I forgot. Yes on the membership tomorrow. And we have a special guest coming with us on the membership call tomorrow. Justin Sliva, who rocks here in our group, will be with us live in our studio with Steven and I. I’m not sure how we’re all going to fit in there but I know Steven and Justin have a game plan. So he will be on our member call tomorrow, so please join us. If you are not a member of Land Academy and you would like to be on this member call tomorrow and be a fly on the wall or heck, even ask a question, you are welcome to join us. All you need to do is send a message to my team at support@landacademy.com and say “Hey, oh my gosh, I want to be on this member call tomorrow. I want to know what’s going on with you guys with the doors closed”, kind of thing, and you can have a one time invite to our member call. We will let you in. Jill DeWit: The second thing I want to share before I wrap this up here is Land Academy Lite is coming. I started off doing this show to see who needed more guidance. We have our member call but I wanted this open forum for anybody who’s not a member to ask any question obviously, about what we do and how to build your company. So we have decided to come up with a product for folks that aren’t quite ready to jump into the full on Land Academy. Maybe it’s financially or they want to test us a little bit or some other reason, but they want to just kind of see. We’re going to come up with a monthly thing instead of a plopping down for the program. It’s going to have a monthly membership which will include its own separate education done, mostly from me, but Steven will be in there also. So watch for Land Academy Lite. That is being worked on right now as a result of this show and your questions. And it’s going to be awesome. So, great, thank you. Jill DeWit: Jake says “Bam”, for the thing. And Skylar will watch the other calls at 3:00. So we will do our weekly closed member call which you are all invited. It’s at 3:00 pacific time, every Thursday. So thank you so much. This is … Wow. Thank you so much for joining me today. Again, please feel free, either on YouTube, I’m glad you’re here, Facebook Live, I’m glad you’re here, leave any comments you have, any topic suggestions you have. Check out Land Academy. Get our free ebook. If you just stumbled across us, you want to know more about what this is about, get our free ebook and thank you. I am Jill DeWit from Land Academy. I’m here to help you get started. That’s the hardest part.